Hostile work environment: a workplace environment that is sexually demeaning, hostile, or intimidating. Both men and women can be victims of sexual harassment. While most sexual harassment claims are made against supervisors or co-workers, other individuals (such as subcontractors and customers) can also be liable. The Equal Employment Opportunity Commission (EEOC) enforces federal sexual harassment laws (such as Title VII of the Civil Rights Acts). Most (but not all) states have similar agencies that enforce state laws. The employer is liable for the harassment. If you are accused of sexual harassment, you should immediately request the opportunity to obtain an attorney before you discuss the allegation. 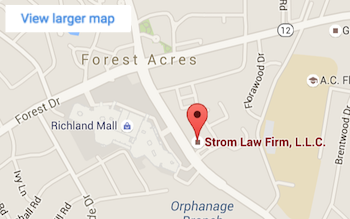 Contact us right away and let the experienced attorneys at the Strom Law Firm mount a vigorous sexual harassment defense on your behalf.